The First Two Books of the Teller of Destiny® Series, From Continue and Princes and Fools, are available through Kindle Unlimited. These are new editions, which include extra chapters, new characters, and more history. Enter the world of Orfatum. 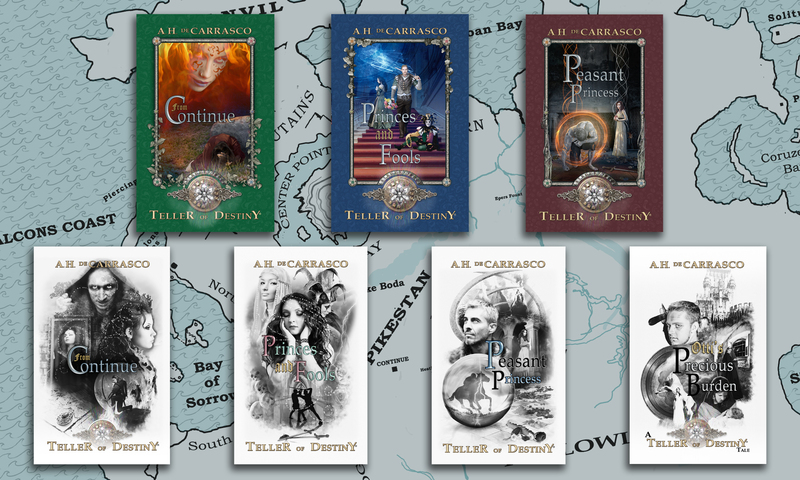 The new editions of the Teller of Destiny® Series have been released. Classic Gragean and Black & White Gragean Editions appeared on Amazon this week with new chapters, new characters, and more history. Also the third book, Peasant Princess, is out and an historical novella, Otti’s Precious Burden, was released at the same time. All are currently available as paperback books or as e-books through Amazon. Hearts will mend, others will break. Nothing is without some consequence. Be sure to check out the latest giveaway (FREEBIES! ), celebrating Princes and Fools!